The case accuses Harvard of setting a quota on Asian-American students accepted to the university and holding them to a higher standard than applicants of other races. At a time of deepening racial and political divisions among Americans, a trial widely perceived to be a referendum on affirmative action is scheduled to begin Monday in Boston, bringing into a courtroom decades of fierce disputes over whether Harvard University and other elite institutions use racial balancing to shape their classes. The case accuses Harvard of setting a quota on Asian-American students accepted to the university and holding them to a higher standard than applicants of other races. 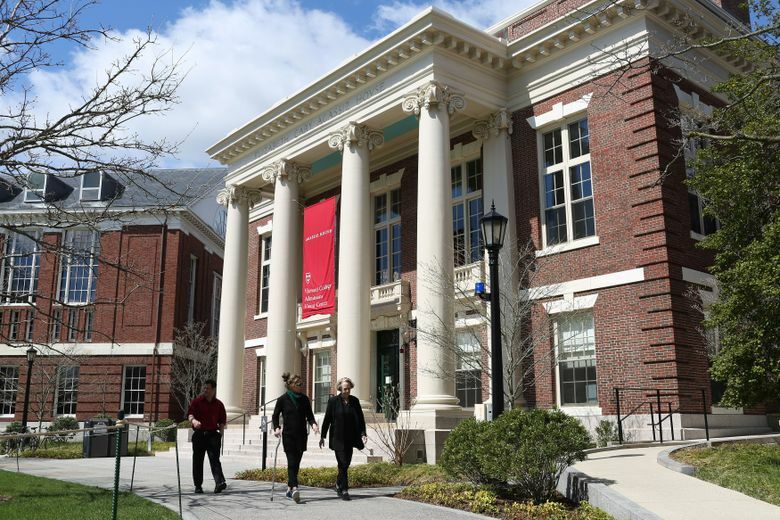 It flips the strategy used in past challenges to race-conscious admissions: Instead of arguing that the school disadvantages whites, the plaintiffs say that Harvard is admitting minority groups and white students over another minority, Asian Americans. Asian Americans are divided on the case, with some saying they are being unfairly used as a wedge in an attempt to abolish affirmative action. But it is not clear whether the case will make new law — perhaps banning the consideration of race in college admissions — or will affect only Harvard. Legal experts say that at the very least, the case will expose the sometimes arcane admissions practices of one of the most selective institutions in the world. At most, the case could make its way to a newly more conservative Supreme Court and change the face of college admissions. The case is particularly resonant, experts say, because Harvard’s “holistic” admissions policy, which considers race as one factor among many, has been held up as a model by the Supreme Court since a landmark affirmative-action case in 1978 and is effectively the law of the land. Harvard says it does not discriminate, but considers each student individually to build a class of diverse backgrounds, races, talents and ideas. The trial will unfold as millions of high-school students are figuring out how to define themselves in their college applications. It comes as heated political campaigns fought over racial and economic fault lines culminate in midterm elections. And it comes as the Trump administration continues to tip its hand toward the plaintiffs. The Justice Department has filed a statement of interest in the case. It has opened its own inquiries into complaints of discrimination against Asian Americans, at Harvard and at Yale. And in July, the Education and Justice departments withdrew Obama-era guidelines that encouraged the consideration of race in college admissions. The rest of the Ivy League has closed ranks behind Harvard, filing a joint amicus brief, and universities across the nation are watching intently for a ruling with wide-ranging impacts. The lawsuit says Harvard holds the proportions of each race in its classes roughly constant and manipulates a vague “personal” admissions rating to downgrade applications from Asian Americans. By doing this, the suit says, Harvard is violating federal civil-rights law, which prohibits discrimination by universities that receive federal funds. Harvard says there is no evidence that the 40-member admissions committee has engaged in any orchestrated scheme to limit the admission of Asian Americans. But it says that eliminating the consideration of race would cut the number of African-American, Hispanic and other underrepresented minorities by nearly half. Past Supreme Court decisions on affirmative action limited the use of race in college admissions without banning it outright. The court has said an applicant’s race can be used as a “plus factor” or “a factor of a factor of a factor,” terms that are purposefully ambiguous. Legal experts say the Harvard case could be a fact-based trial, specific to one university. But if it is appealed, the Supreme Court could have a chance to revisit the law on affirmative action. That is the game plan of the plaintiffs, Students for Fair Admissions (SFFA), a group formed by a conservative activist against affirmative action, Edward Blum. Blum has recruited for the group nearly two-dozen Asian-American students who were rejected by Harvard. SFFA has also filed a complaint challenging race-conscious admissions, but not focusing on Asian Americans, at the University of North Carolina at Chapel Hill. It is scheduled for trial in the spring and is intended to land in higher courts. Blum was the architect of Fisher v. University of Texas at Austin, the last major affirmative-action case to go to the Supreme Court, which he lost in 2016. But Justice Samuel Alito’s dissent in the case, in which a white woman said she was denied admission because of her race, hinted that discrimination against Asian-American students could be fertile ground for litigation. Ilya Shapiro, a senior fellow at the libertarian Cato Institute, said affirmative action could be vulnerable if the lawsuit goes to the Supreme Court and newly appointed Justice Brett Kavanaugh follows the lead of the chief justice, John Roberts.